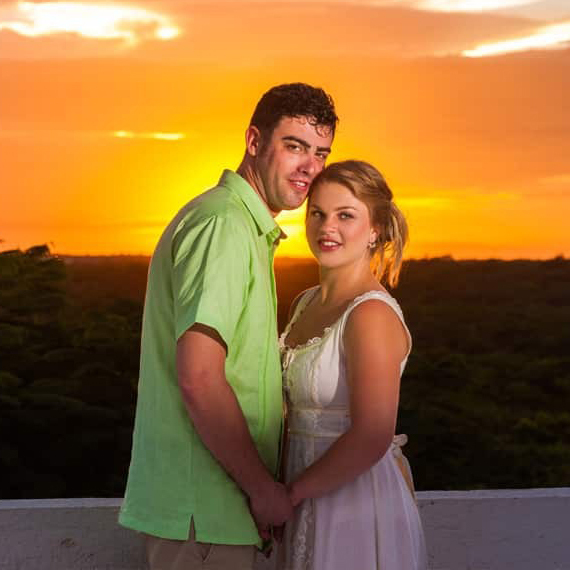 Cancun wedding photographer, will probably be the next professional you will look for after making a decision of having your wedding in Cancun. After typing these three words in a google search you will find yourself opened to a great variety of choices and it’s no wonder, photographers are those who help you to capture important moments so you can savor the memories long after they are gone. Your wedding is one of those moments that you want to remember forever. 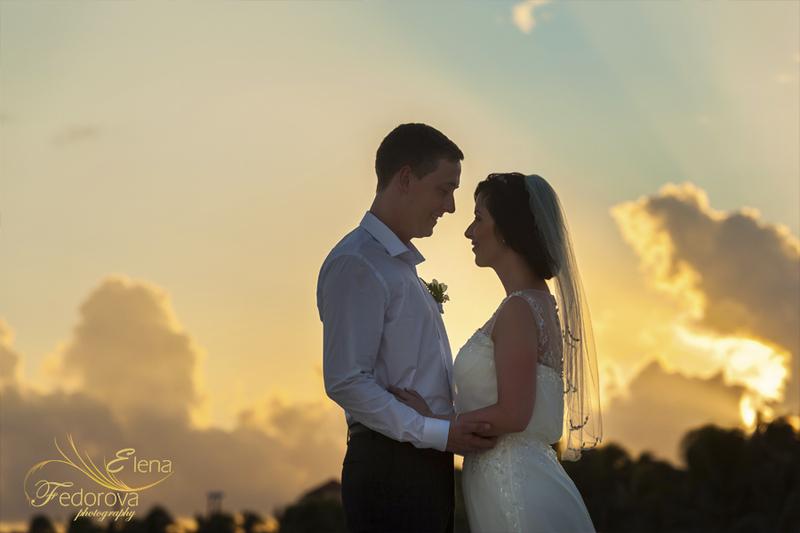 Having the honor to work as a Cancun wedding photographer with many couples, I would like to share with you some tips about how to make your wedding photos more candid and simple more beautiful. — First, try to relax and think more about you husband and all the pleasant moments you had together. — Second, take a look in front of the mirror and see how gorgeous and stunning you look right now on your wedding day! There is no need to worry, as you have already planned everything to the last detail. You have your parents and friends around you to share such great moments with you. 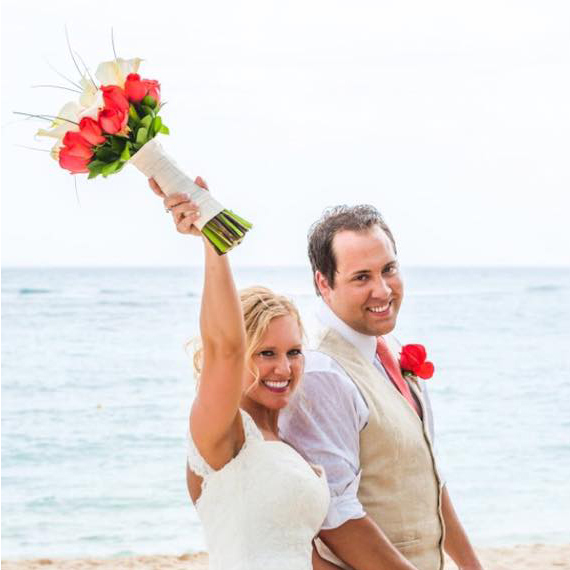 A Cancun wedding photographer is near you to photograph your special day! — And the third advice – give yourself permission to enjoy this moment. 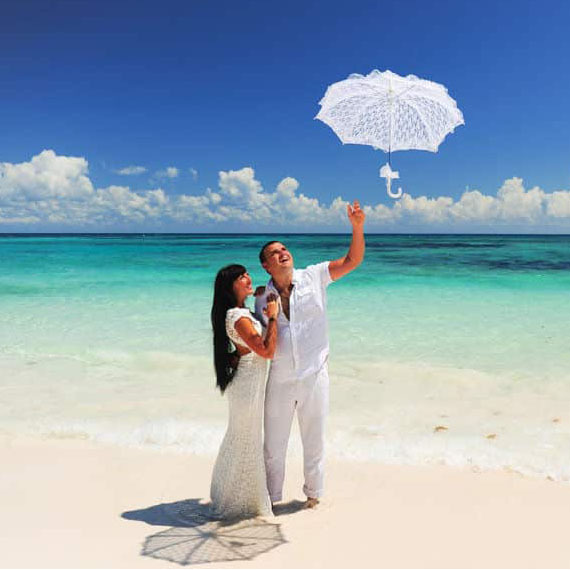 You have made it all the way to Cancun, you have spent countless hours planning your wedding, looking for a perfect dress, putting together all the details and now it’s your time to enjoy it. The Wedding day is a very special day when you create your new family. It’s a first important and gorgeous step into the happy marriage life, so enjoy it! You can always contact me and ask any kind of information regarding wedding photography photo sessions, I will be more than happy to help you! I wanted to let you know once again we love the pictures, we really enjoyed the first two days as we been just looking over and over again. They are beautiful and we can not ﬂunk you enough for capturing our special day. You are amazing and extremely talented, everyone enjoyed your company and we are looking forward our anniversary as we would like to do a small photo session at the beach if everything works out for us, as we would like return next year. We will contact you prior though as right now we just planning but lets see how things will work out. Hope all is well. Lets stay in touch. Wishing you all ﬁle best. Thank you once again for being such an amazing photographer and kindhearted person. We really loved your work. Elena, thank you very muсh for the photosession! From the ﬁrst day we met we didn‘t have a slightest doubt that your work will be superb!!! And so it happened, we are very grateful to you and pleased with all the photos. We couldn’t imagine better pictures! Thank you! You conveyed the mood that was in our hearts at that exam moment so easily and accurately. Your photos are so bright, vivid and natural. which signifies that they were made by a real professional! It was very pleasant to work with you and all our friends were amazed after watching our photos. Every time we look at our pictures we feel like we are there again. in this beautiful and sunny country, I want to express you my admiration and immense gratitude for these wonderful pictures! We are very happy that we found you! Thanks for the wonderful photographs! Elena was a wonderful photographer! We came from the United States to get married in Mexico. Since we were never able to meet in person before choosing her, she wanted to Skype with us to get to know us and make sure we felt comfortable. She also came to our venue a few days before the wedding to get to know us and see the resort (she had never been to our resort before). She and our videographer worked well together even though they were different companies. We received over 500 photos within 2 weeks of our wedding which shocked us. They were phenomenal photographs and she got them to us so quickly! We had some rain and she was prepared with her equipment and did not let it hinder anything with her photography. She even got an amazing photo of us with a rainbow behind us. On a personal note for couples planning the timing of things, we had her take photographs from 1:00-8:00PM, but in hindsight, we wish we would have had her stay longer to get more of the dance photos. We did not realize it until we received them, but the photos of our guests dancing are so great and candid! By far our favorite photos and there were so many to choose from! Elena! Thank you so much! My husband and I recently got married near Cancun and I couldn’t have hired a better photographer. She showed up early and stayed a later then we scheduled so she could capture every minute. The pictures told the story perfectly. She provided us with incredible photos. I couldn’t be more happy! We recommend her 100%!